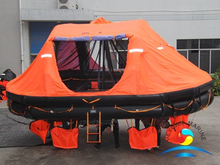 boats like FRP lifeboat,FRP resuscue boat,inflatable rubber boats etc. life raft,MES,life vest,life jacket light,life buoy,life buoy light,immersion suit etc.Most of the items come with class approval certificate. Pls feel free to contact us if any inquiry.